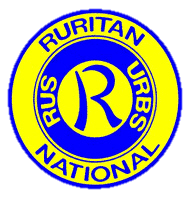 The first Ruritan Club was founded in Holland Virginia in 1928. The name "Ruritan" is derived from the Latin "ruri" meaning country and "tan" meaning small town. The Virginia Legislature chartered Ruritan National on July 7, 1930. The organization is chartered to promote fellowship, goodwill, and community service, dedicated to creating a better understanding among people and through volunteer community service, to make America's communities better places in which to live and work. Today, there are over 30,000 members of Ruritan. Clubs are organized into zones and districts. Burkittsville Ruritan is located in Zone 3 of the Potomac District, which also includes the Jefferson, Johnsville, Lewistown, Mount Pleasant, Petersville, Point of Rocks, and Wolfsville Ruritan Clubs (all located in Frederick County, Maryland). The Potomac District is headquartered in Dublin, Virginia and covers from the Chesapeake Bay in the east to Western Maryland, southern Pennsylvania, and the Eastern Panhandle of West Virginia.